We will teach you how to exhale in the water so that when you turn your head to the side you can then inhale as part of the front crawl stroke. Our fully trained and highly experienced instructors are always happy to teach new techniques that not only improve your swimming confidence in the water, but also help to improve your fitness to enable you to swim for longer. Our head up breaststroke into front crawl course is just one of the courses we offer, and you may well be surprised at just how enjoyable the programme can be. Our adult swimming lessons in London are held over 5 x 1-hour sessions, where our instructors will help you to transform your basic head up breaststroke into a head down face in the water front crawl. We will teach you how to exhale in the water so that when you turn your head to the side you can then inhale as part of the front crawl stroke. 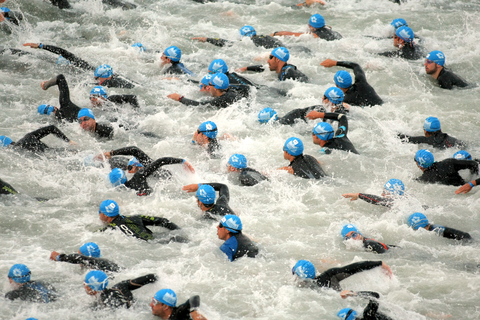 If you can already swim a basic stroke of any sort on your front for 25 meters or more, but don’t feel it is very elegant or stylish then this is the course for you. 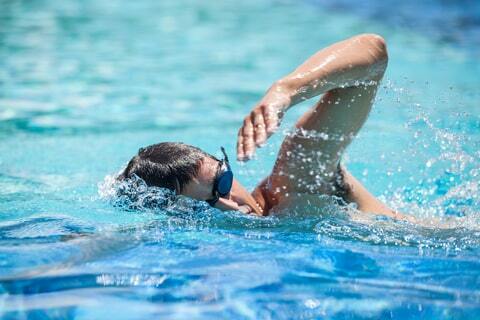 Swimming head up breaststroke puts excessive strain on your neck, lower back and in many cases also on your knees. In this course we will teach you to have your face in the water which will result in a flat spine so that your muscles get the correct work out that they deserve. This will effectively improve your fitness level and swimming ability which will enable you to move faster and more efficiently. 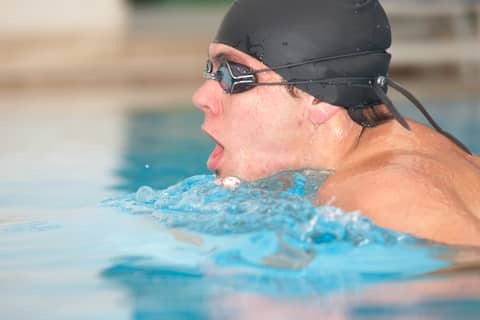 Our head up breaststroke programme focuses on both breathing and arm techniques, as these form the basis of a good front crawl. By the end of the course you will have covered the propulsive and recovery stages of the arm cycle which will help you propel yourself through the water effectively. In addition to learning how to kick your legs efficiently, you will learn the breathing techniques that help you swim smoothly and increase the distance you can swim front crawl. Whether you are looking to swim for pleasure, fitness or for good health, our adult swimming lessons in London can be of huge benefit to you. If you are still unsure then feel free to get in touch to discuss any concerns that you have.